We open on Saturday 7th January at 9am! 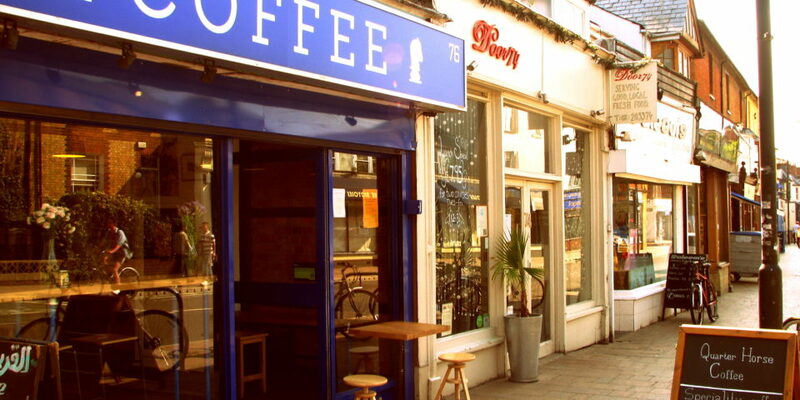 On sale will be our fantastic range of speciality coffee – of course! – along with a limited range of snacks (pastries and delicious banana bread – a larger range of food will be available from Monday 9th January). We will also be screening some classic cycling footage from the glory days of cycling. Hope to see you there! We’re hard at work putting the final touches on the shop before we open on Saturday. The large wall graphic has gone up. Anyone recognise the riders? 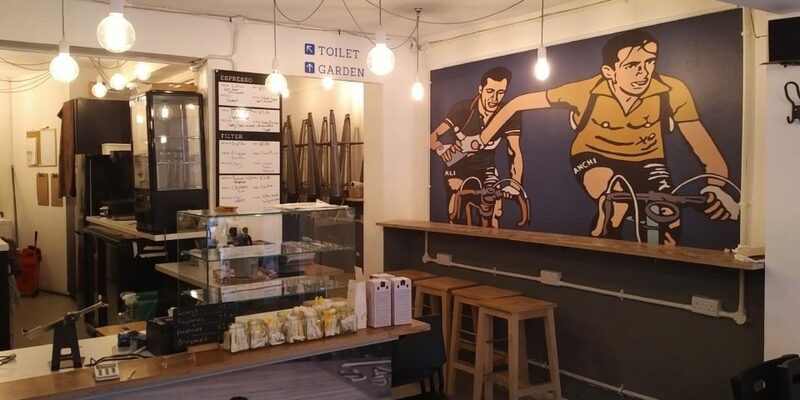 Peloton Espresso is a new bike cafe, coming soon to the city of Oxford, UK. Watch this space or connect with us on social media (using the buttons on the right) for more info coming soon. Thanks for your interest. © 2019 PELOTON ESPRESSO. Powered by WordPress. Theme by Viva Themes.